If you were on my treatment table today… you’d “hear” me thank little Amanda for the Thursday Thoughts link up! If you were on my treatment table today… you’d probably hear me talk about how they have FINALLY started to remodel my apartment after it decided to be a rainforest. It’s been forever a month since the great rainstorm of 2014 and they have just started to do the repairs! If you were on my treatment table today… i’d probably tell you about how soreee my body is… from my legs, to my back, to my core and my neck this weeks GPP workouts and adding running into my routine has definitely shown me whats up! If you were on my treatment table today… I’d tell you that I have been a serious bottomless pit… I think I could eat a whole refrigerator worth of food and still not be satisfied. If you were on my treatment table today… I would follow up that previous comment with the fact that I walked around my local grocery store for at least 30 minutes last night while trying to find something that sounded good for dinner. After all that time I settled on some Chia Popcorn (new to me experience) & Soup. If you were on my treatment table today… I would probably tell you about my semi-stalled wedding plans. I seriously have not done much since getting the venue. I have asked the girls who are going to stand by my side & startedddd looking for photographers. I need to get busy, but then feel like I don’t all at once! If you were on my treatment table today… I would tell you how thankful I am for my girl Keri and her serious inspiration to me. I love when you can text a friend your current problems and they send you the exact words you needed to hear! If you were on my treatment table today… I would tell you about how I have serious blogger crushes… OKAY I wouldn’t tell you that because I am shy about talking “blog” at work so I guess this is a lie. BUT since you aren’t on my treatment table I will tell you since blogging I’ve developed some serious blog girl-crushes (Lee, Meg, Heather, Kasey & Jan to name a few). I’ve started to read a TON of blogs and feel like some are friends and others are celebrities. Hopefully one day I will reach as many lives as these girls & guys (Arman) do! If you were on my treatment table today… I would tell you that we are “probably” going to Minneapolis this weekend to meet up with my friend Heather & hopefully my cousins! If you were on my treatment table today… I would tell you about the crazy morning that we had on Tuesday morning. Brent went to the gym with me in the AM (woohooo) and then his car died and wouldn’t start. After what seemed to be a comedy of errors we FINALLY got the car in neutral and in a position to be jumped! It added a lot of adrenaline to my morning after a big DL workout! If you were on my treatment table today… I would probably follow the previous statement with a conversation that my workout buddy and I had on Tuesday morning. The GPP workout was to do bodyweight deadlifts. Well I can’t YET do a deadlift of my own bodyweight. When I started the lift at 135# and considered stopping there, he looked at me and said “umm since when do you wimp out and not lift the prescribed weight?”… well you bet I added 10# plate to each side and challenged myself with a heavier DL. STILL NOT bodyweight (remember I am 6ft tall y’all) but definitely made a new goal! If you were on my treatment table today… you’d probably wish you weren’t because that would mean you were in Physical Therapy and had an injury. However, I am a pretty amazing therapist and definitely make therapy fun, if I do say so my veryyyyy unbiased self! SO I am glad you are on the other end of the computer and not on my table. If you were on my treatment table today… What would YOU tell me? Have you had Chia Pop before? Whats your new gym goal? I will get a BW DL soon! Who are your blogger/celebrity crushes? Live in Minneapolis and have good tips/want to meet up? 5 Tips To Finding Motivation at YOUR Gym! Runners Image a Side by Side! Well I have been trying to wear the shoes I have in my closet but let me just tell y’all, All Shoes Are NOT Created Equal. 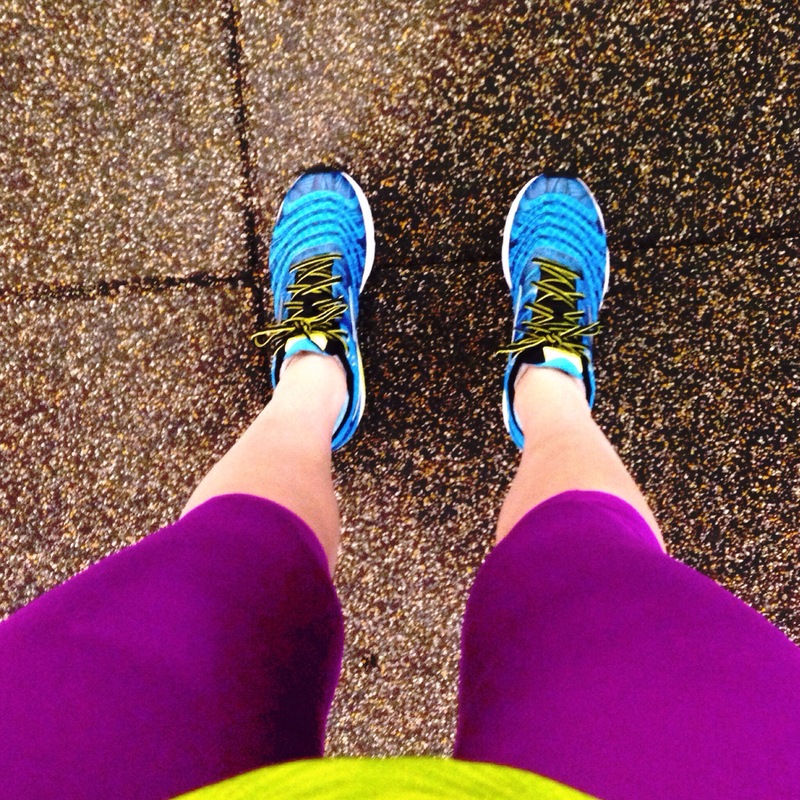 Casual, lifting, “old” running, comfy, foot heaven… NOT all workout appropriate! So needless to say I haven’t had much luck with the shoes in my closet working out. And lately have noticed that my feet have been really aching and sore, not to mention started to get a blister on my heel… SO I told myself (& Brent) that once my tax return came in I could get a new pair of workout shoes. I decided to get some running-specific shoes right now as thats where my feet seem to take the most beating. I had never been to Runners Image before but if you live in the Rockford area I would DEFINITELY recommend them. They were very knowledgable, helpful and professional. I am a very picky shoe buyer and have tried on probably 15 shoes in the past 3 weeks while thinking about getting a new pair. I tried on a couple different pairs of the same brand of shoe, Saucony. I felt like I had a good shoe but I saw he had a Mizuno box on the side. I asked if he would show me those shoes, because I like to know my options. I tried on the Mizuno’s and my feet were in a complicated state! 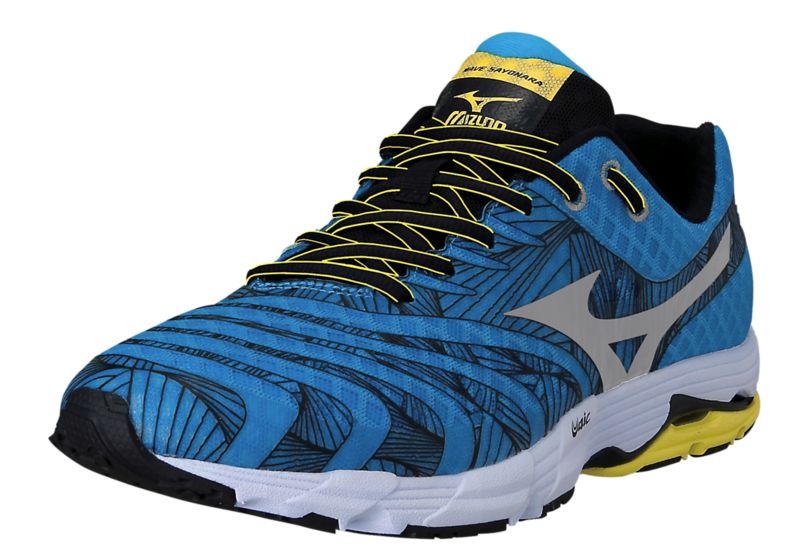 The Saucony’s felt great but these Mizuno’s felt great too!!! WHATS A GIRL TO DO??? These shoes feel like clouds on my foot. 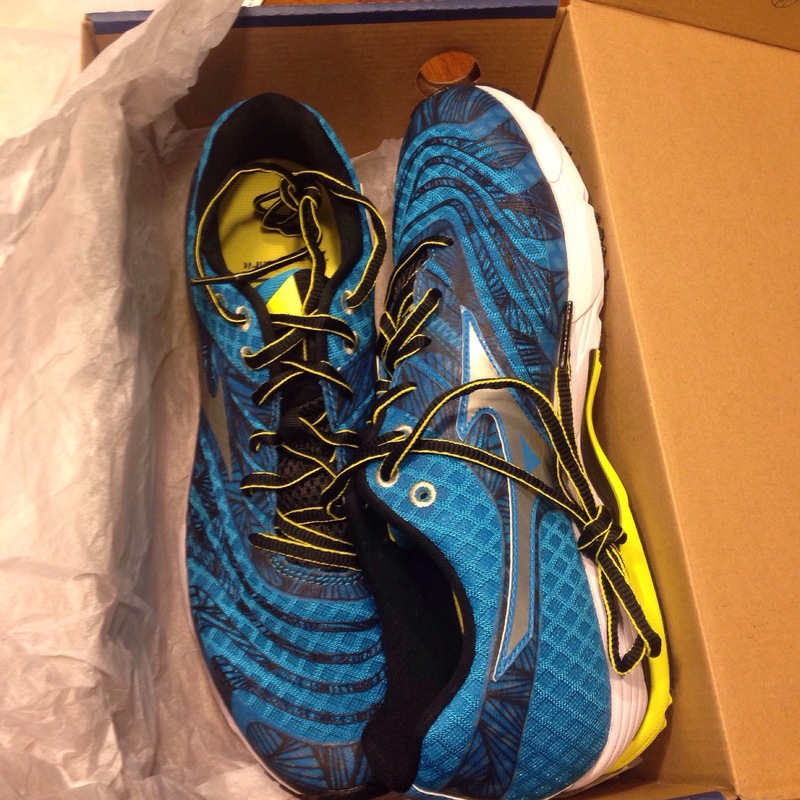 They felt like I was getting maximal stability and support without having a thick upper or heavy sole. I also liked that they had a more traditional drop, since I am a novice runner I wanted something that my foot/legs would be confident running in. 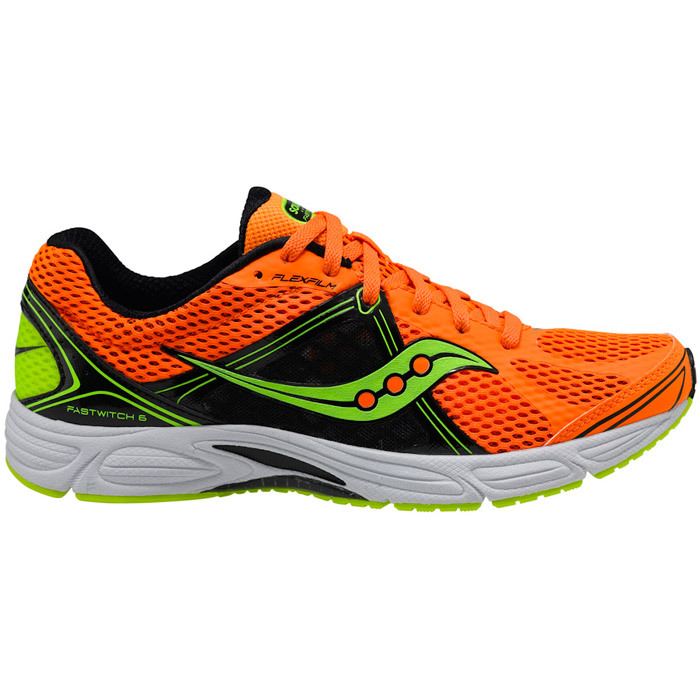 The Saucony’s I tried on were considered a running flat as had a very minimal heel-drop. While they were very comfortable in the store I was scared my body would start to revolt after a few runs. They would be a pair I’d go to in the future, once I get a better running rhythm and pace! I had my first workout in the new Mizuno’s yesterday and my feet felt GREAT!!! I have every intention to reserving these shoes for primarily running workouts and was hesitant to the GPP workout of the day which included lunges & jumps in them but I figured 1/3 of the workout was running and I had to find out how they felt on my feet. The GPP workout was a KILLER. but my feet didn’t know the difference. I felt secure and stable during each aspect of the workout and actually had to tie my shoes TIGHTER during the workout! I cannot say enough how I felt supported through my heel and arch without feeling like I had shoes on my feet. I am really happy with my purchase and cannot wait to do more workouts in these bad boys! Are you a picky shoe buyer? What’s your favorite shoe right now? Lightweight or Cushion which would you pick? Peep'd. Ahi Tuna. Kitchen Experiments. That song always reminds me of college and sorority recruitment & I always seem to hear it on the craziest of Mondays. 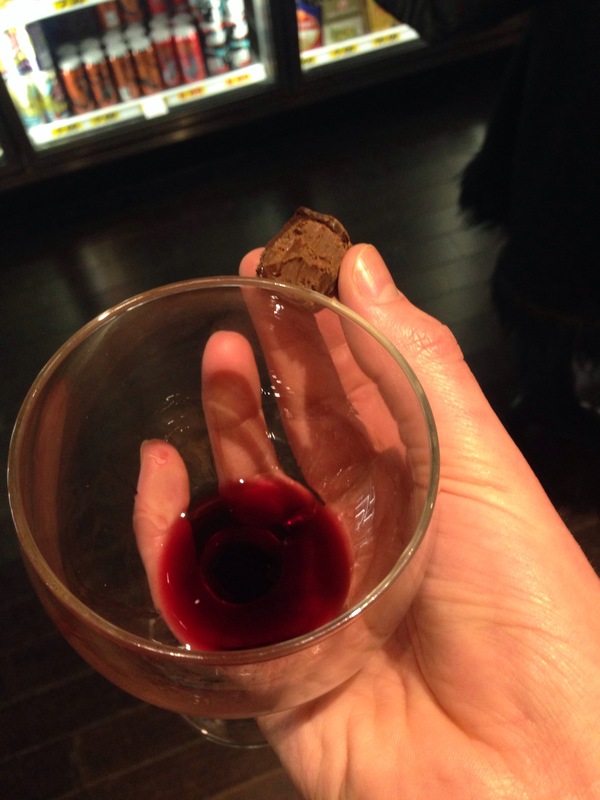 So here is to foreshadowing (as I wrote this Sunday night) to a not-so-manic-monday! How was your weekend??? Ours was wonderful, as I mentioned yesterday we had a pretty relaxing weekend but it seemed filled to the brim! So what better way to start the week than with Katie and sharing all the marvelousness that took place! Saturday started off a bit slowwwwww. But after a while we made our way to the gym. I have made a new goal for myself to start running more and more. Last week I jumped on the treadmill each day & did different distances at a very manageable pace, so I don’t get hurt or get discouraged. I wanted to do a longer run but also knew the GPP workout of the day was going to be rather cardio taxing. SO I ran 1/2 mile, walked 1/4mile, ran 1/2 mile at a bit faster pace, walked 1/4 mile and finished with running a 1/2 mile at a faster pace again. All in all it took me about 20 minutes to complete this 2 mile circuit but I felt great and my legs/feet/calves have not started to yell at me! 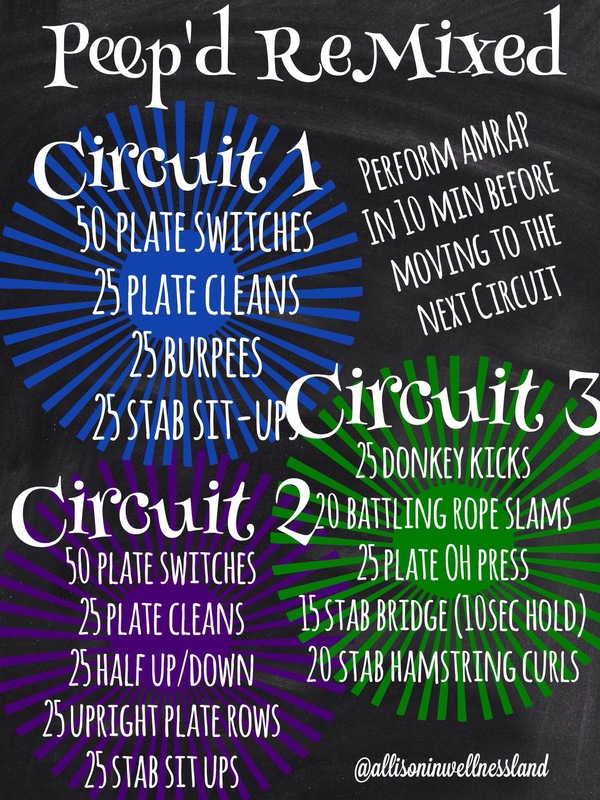 if you do not know an exercise listed above PLEASE comment or email me and I would be happy to help! There is a YouTube video for most of the exercises on the GPP website, however not grouped in this order. I continued my workout with GPP, but decided to change it up a bit, resulting in an Allison workout with a side of GPP. 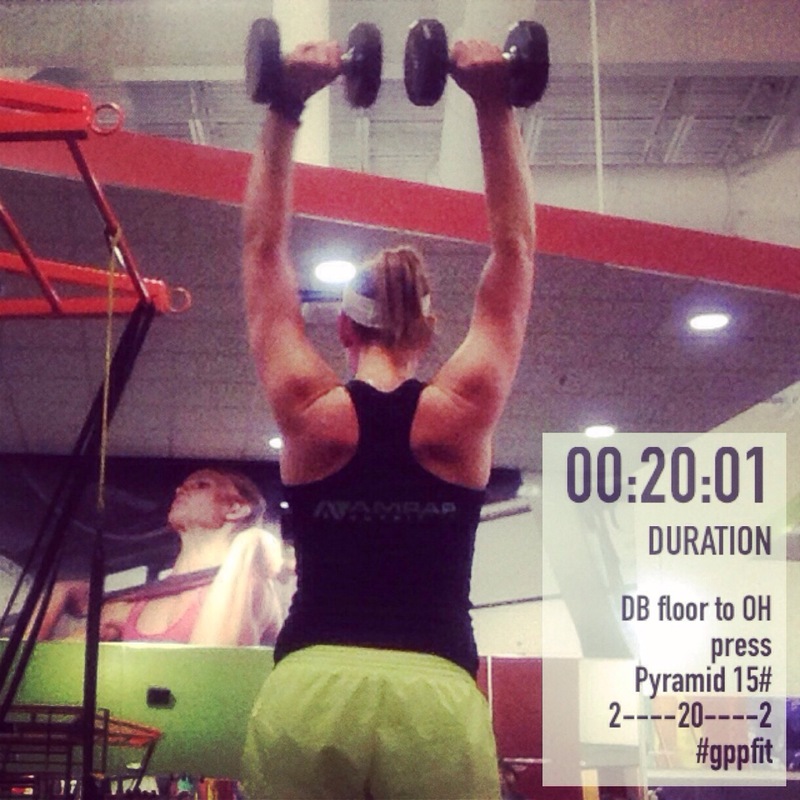 It was really fun to incorporate some of my favorite GPP moves into a workout. I felt like I was able to program something for myself again, which I haven’t done in a while since following the GPP programming but continued to get the benefits of a killer Saturday workout! After the gym we were both ravenous and I was definitely craving a hearty healthy salad that I didn’t have to make. 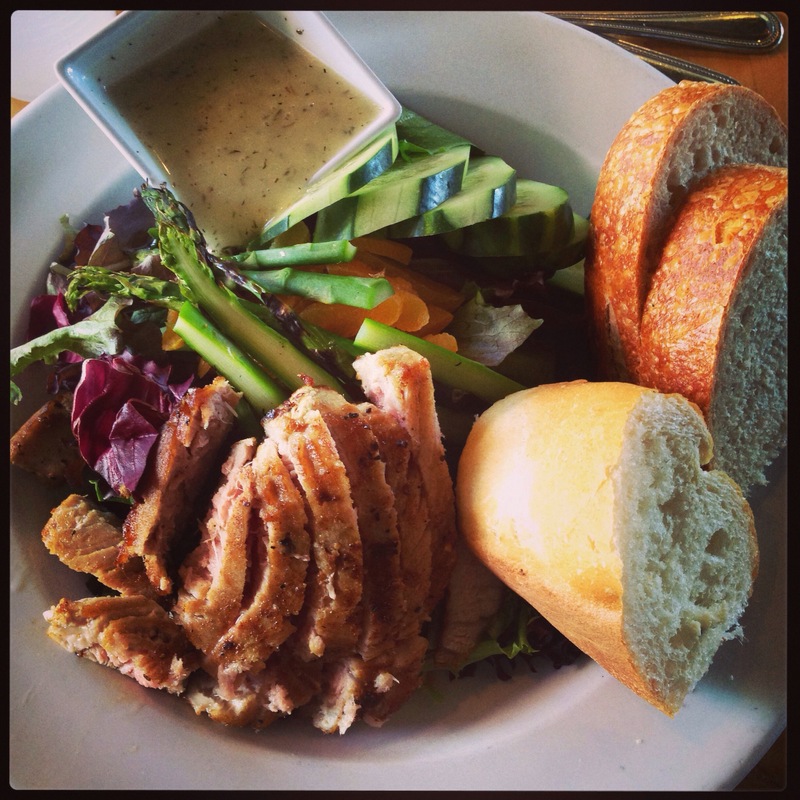 We went to a local restaurant that is similar in nature to a Panera bread and both got awesome lunches. 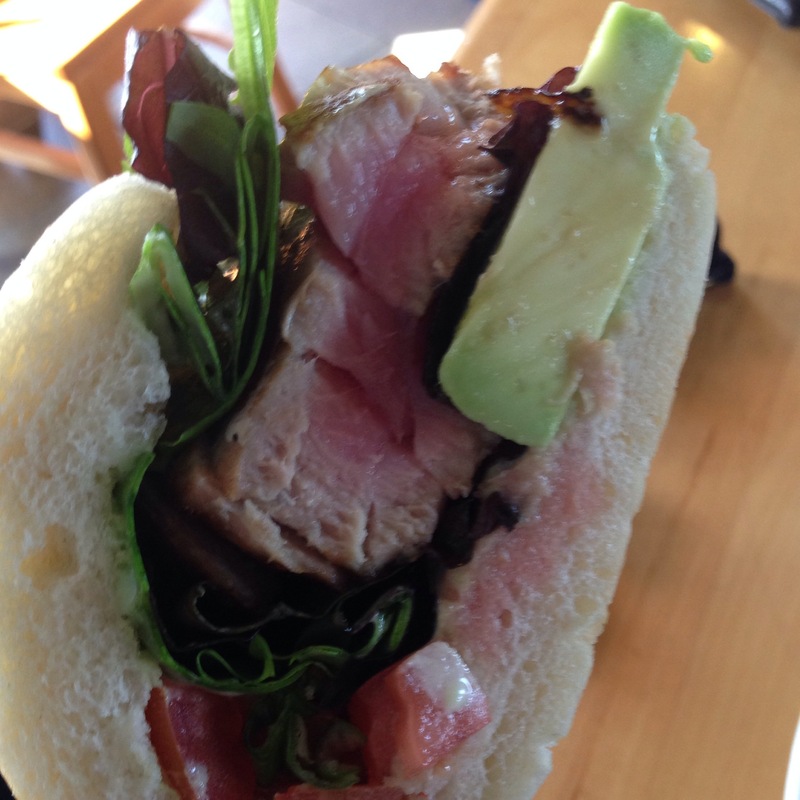 Brent got the Ahi Tuna sandwich medium rare with a side of black bean salad. It had avocado and lots of other veggies and looked awesome! I got the Ahi Tuna salad cooked medium, it had asparagus, apricots, cucumbers, and the perfectly cooked Tuna. I had never ordered Ahi Tuna on a salad before so got it cooked a little more than I know is “recommended” but I wanted to go on the safe side rather than be sorry. I think next time I would get it cooked rare though. The salad was GREAT and definitely satisfying after a hard workout. We then made our way to Runners Image, so I could get new running shoes. AHH I LOVE NEW SHOES!!! But this experience at RI definitely deserves its own post, PLUS I want to tell you about the shoes after I was able to do a full workout in them. SO… More on this tomorrow! We then hit the grocery store and spent the evening watching the Olympics and being lazy bums. Sunday we woke up & went to church. After church we were both hungry and I was wanting some smoked salmon from SAMS. So we went with hopes that we would get to hit up sample Sunday. Sadly there were only a couple samples out but we did get some Salmon, which ended up pairing perfectly with our Sunday experiment! 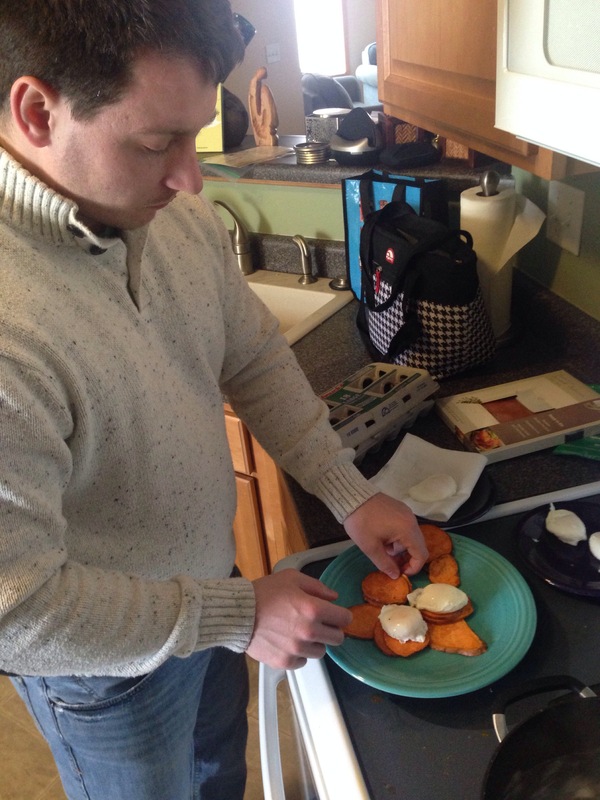 Brent said “I want to Poach an egg.” I’ve never had poached eggs before but we googled directions and got to poaching. After two failed eggs, one resulting in starting completely over, and the other being undercooked we got the hang of it and were poaching machines! 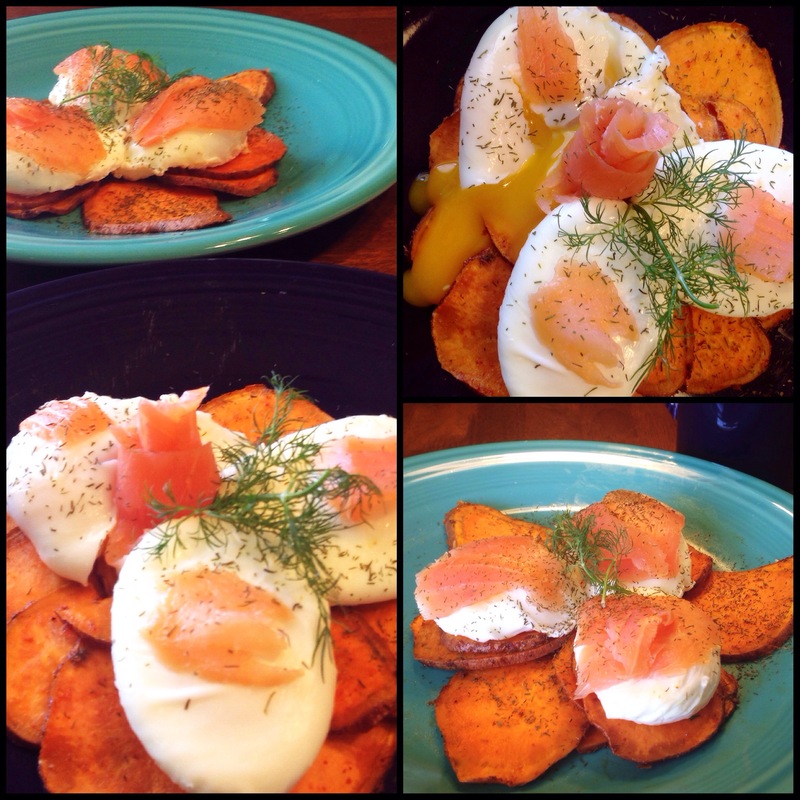 For our eggs I sliced up 2 sweet potatoes and baked them on a drying rack so they would cook on both sides. Look who even got in on making a pretty plate for the picture!!! I told him “you know I want to take a picture right?” And he said “YUP!” and got to work making his plate gorgeous! YUM!!!!! the eggs, and potatoes with the salmon on top were AMAZING!!! After a nice sunday nap, I got to food prepping. This included roasted brussel sprouts, brussel/kale/carrot slaw, mini spinach turkey sliders, and then stuffed chicken breasts that we made for dinner. 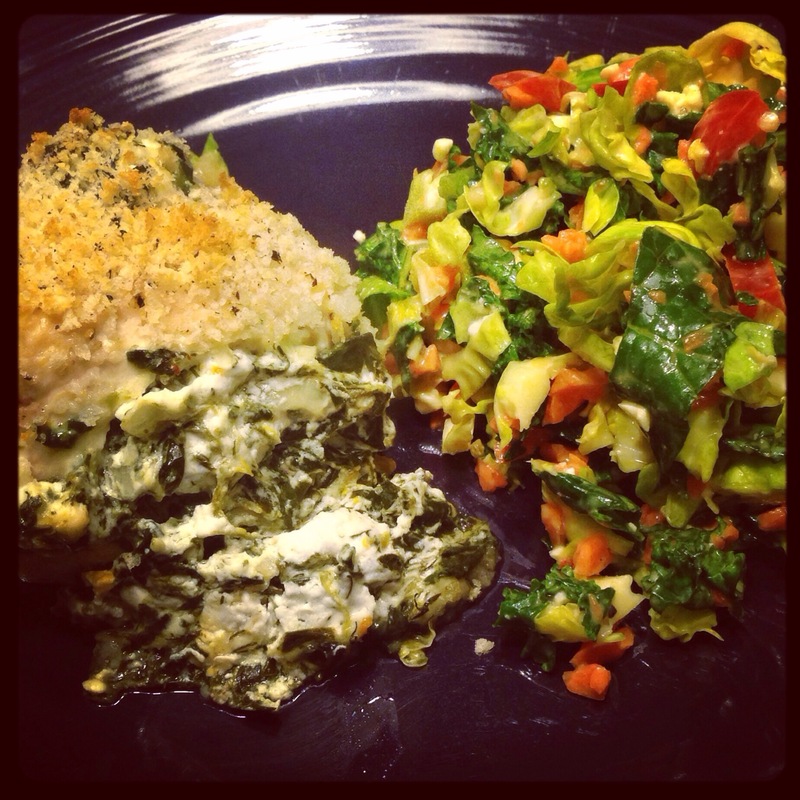 These stuffed chicken breasts were the second experiment of the day and they were amazing!! Two successful experiments definitely calls for a #winning Sunday. We stuffed our chicken with spinach, onion, bell pepper and then half of the breasts got a feta/spinach mixture and the other half got a goat cheese/spinach mixture. BOTH were great!!! I will definitely be making these again! We finished the night with some movies and relaxation! AHH what a Wonderful weekend!!! Hope your Monday is manic-less! Are you a runner? Any tips on working into running? Do you get overly excited for new shoes too?? 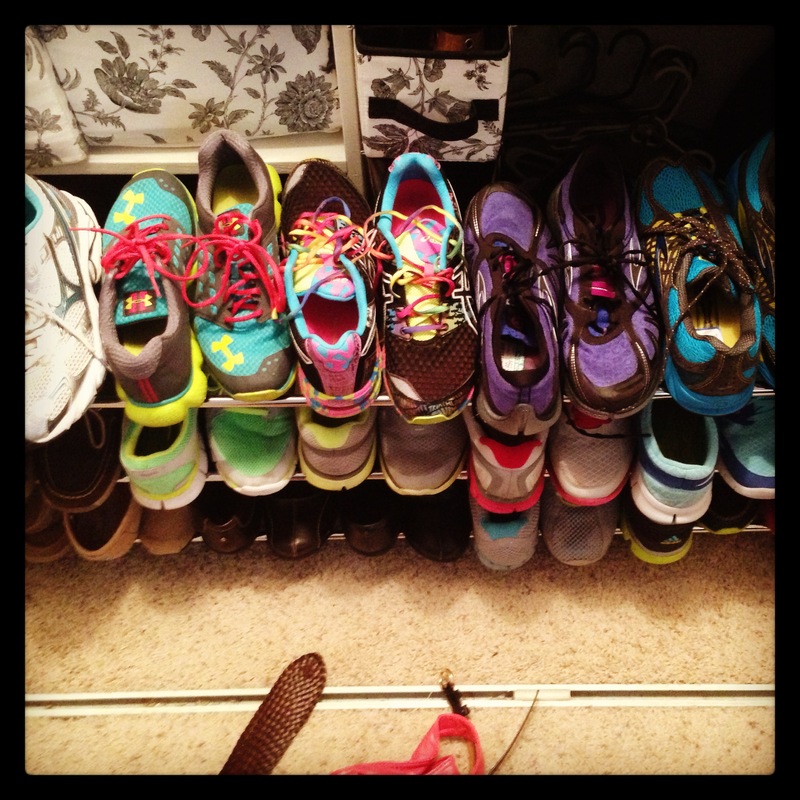 I swear I am the pickiest workout shoe buyer! 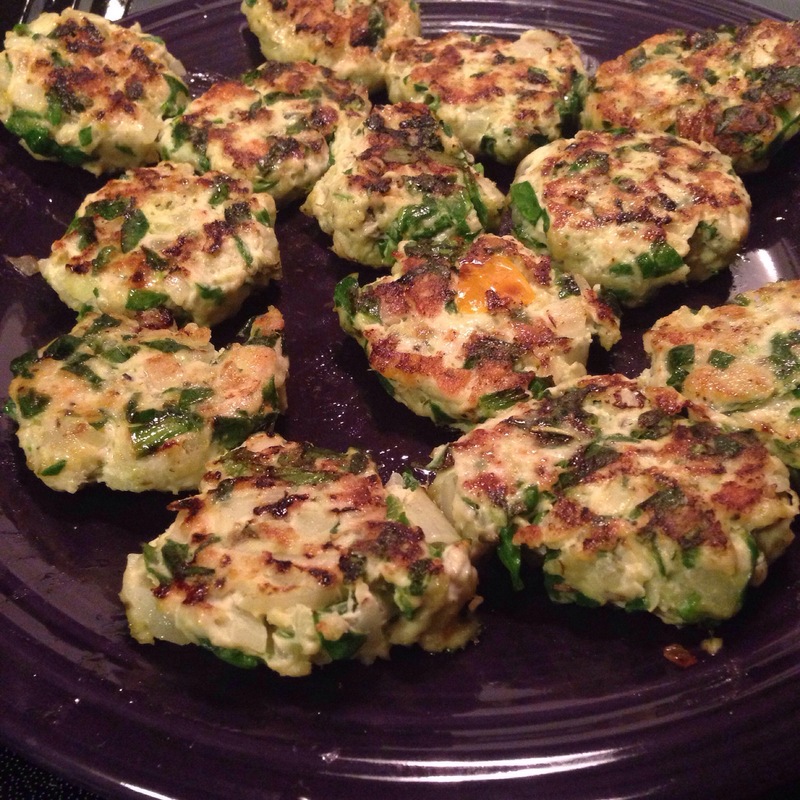 What kitchen experiments have you WON at lately? I love the weekend. It is truly the best part of the week. Usually our weekends FLY by, and this one was not much different, but yesterday seemed to be a VERY productive day, so today gets to be a day of relaxation!!! 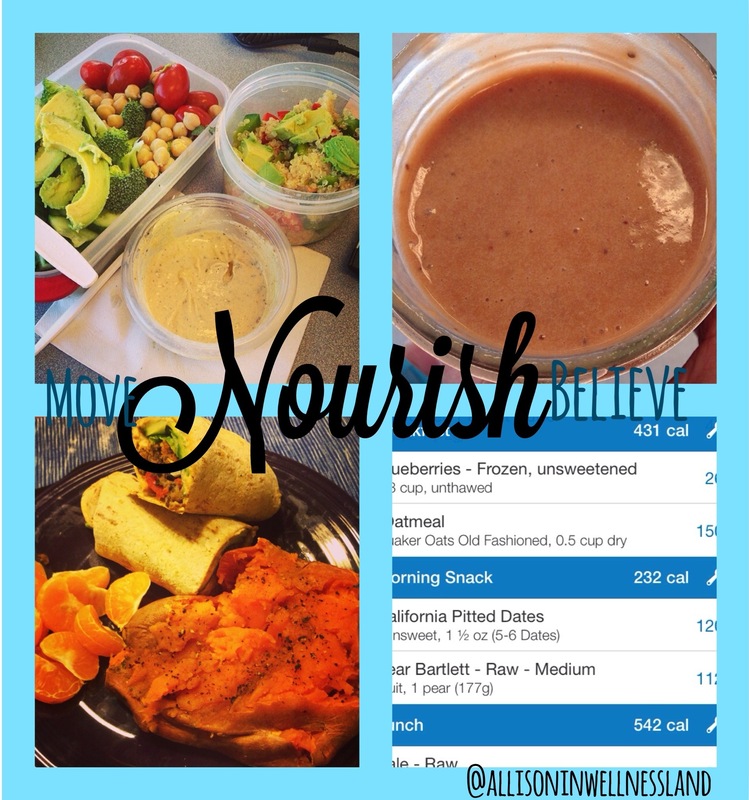 Last week was the LAST week of the Move Nourish Believe Challenge, I can’t believe February is almost over and these mini challenges have come to an end. If you missed week 1 and week 2 recaps make sure you check those out too!! Thank you Lorna Jane Active & FitApproach for sponsoring this challenge and helping me step out of the winter-blues rut that is so easy to get in after those initial January resolutions are made. The theme of this week was Believe. I was really excited for this especially after the long weekend that we had last weekend. Tuesday – 5 Mindful Minutes… There is a good part of me that really wants to learn and become aware enough to meditate and let go of the thoughts of the day. I have a hard time getting to a restful accepting place when I try to meditate and my mind generally drifts to the areas that I am stressing or thinking about, so this challenge was great practice for me! I would love to say I spent those 5+ minutes in complete solitude but to be honest I felt a little silly and distracted. I am glad I did a guided meditation from Heather Waxman as it showed me I need to set aside some more time and do this regularly. I need to make it a habit and become accepting of letting go. 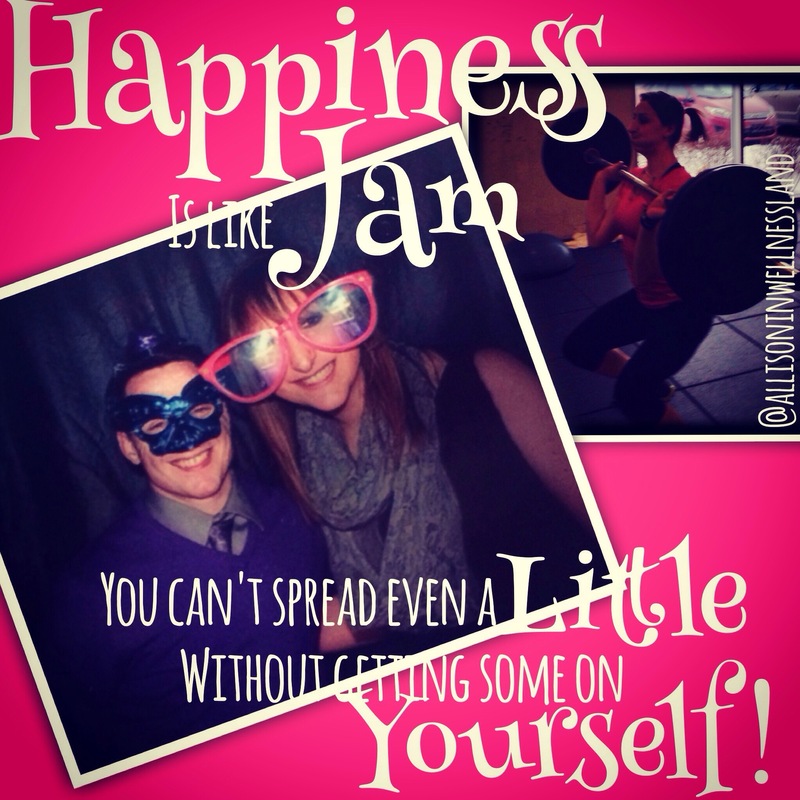 Wednesday – Be Happy… Ahhh this one is easy! I simply am happiest when I am with Brent. I guess that means I picked the right guy to spend the rest of my life with ;)… This guy makes me more happy than I could’ve ever imagined someone else making me, while allowing me to be 100% myself. We are not perfect individually or together but we definitely challenge each others strengths and strengthen each others weaknesses, which to me is just about as perfect as you can get :)! Also I am pretty dang happy at the gym. I love that I have found exercise to challenge me and push my limits. I found this quote on Wednesday and wrote it on my clinic board, where I write a motivational/inspirational quote of the week, and it definitely was share worthy. I seriously laughed out loud when I found it, because I think it is very true, and because I think I am way more funny than the rest of the world! Thursday – Thankful Thursday… I am thankful for sooo much! And since I was a day behind on all these challenges I thought of what I was thankful for on Friday, mid-workout. I think the most of my inspiration for blogging & life, comes when I am at the gym. I am able to let my brain wonder and inspiration flow, especially when i have a rest between sets. So Friday I was thinking about what I was thankful for & I came up with this list. I am thankful for having happiness in my life. 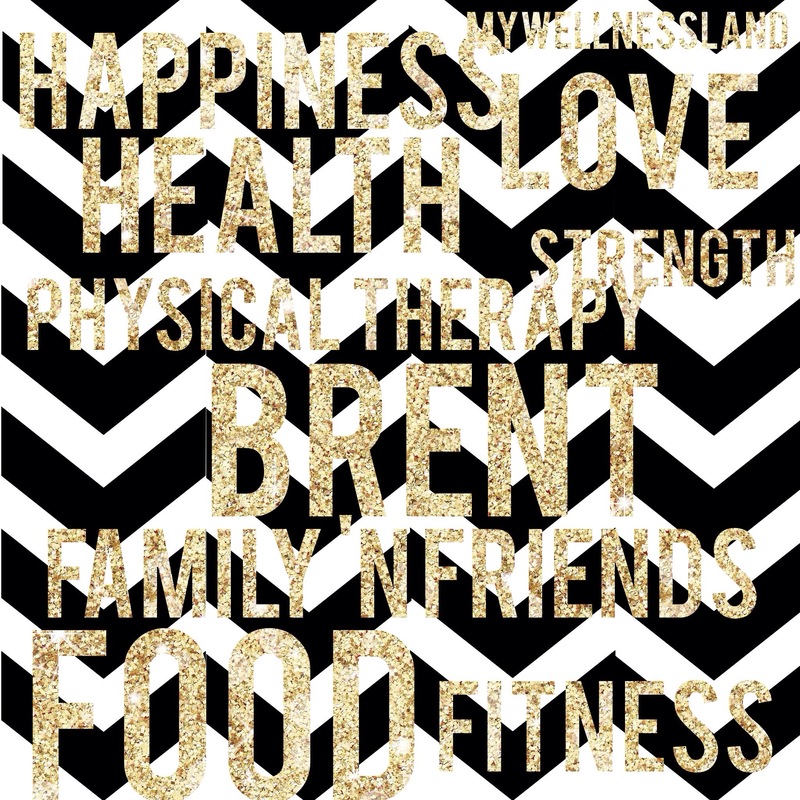 I am thankful for MyWellnessland & YOU! I am thankful for the gift of health, love, and strength. I am thankful for my career physical therapy and the opportunity it gives me to impact others lives. I am thankful for Brent! I am thankful for my Family ‘n Friends for keeping my head up and being by biggest supporters. I am thankful for food & fitness… this sounds dumb but those are the things that keep me going, the fuel that takes me to the gym and the opportunity to exercise to improve my fitness is extremely important to me. Friday – Shout Out… Okay I didn’t share this one either because I have SOOO many #1 supporters I can’t just pick one. 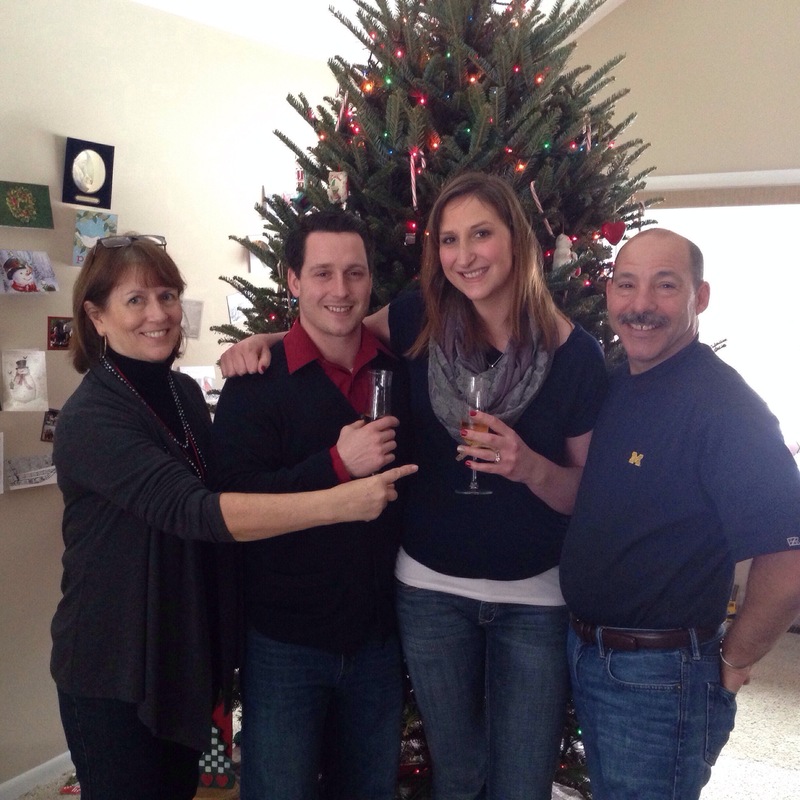 I suppose the three people who have been there for me each day the past year. They listen to me when I am most upset and cheer for me when I am most excited. I guess it is understandable that one of these people has been talked about 2 times already today and the other one is my dad & then my step-mom. These three are seriously always there for me. I have a wonderful network of family members & friends who I know are always there for me but I guess these three stand out just a little above the rest, and I am so thankful for that! So thats a WRAP! I have really enjoyed the MNBchallenge and have enjoyed getting to know a few of the other girls who have been involved in the challenge as well. If you are looking for something to do on Wedensday night (8pm EST), log into twitter and check out the Twitter Party for the #MNBChallenge that FitApproach & Lorna Jane are hosting. It is sure to be a great time! But now I am off to Church and then on to my Sunday ritual of food prepping and getting my life ready for the week ahead! Have a happy and healthy Sunday! Are you a sticky note user or long list maker? Do you meditate? Have any tips? I hope everyone had a safe and happy weekend. Brent & I traveled to Michigan Friday after work to spend the weekend with my family. We had planned to head back to Rockford today but because of the massive snow storm we will be heading back tomorrow, which gives me a little time to fill you all in on the weekend and the MNBChallenge. 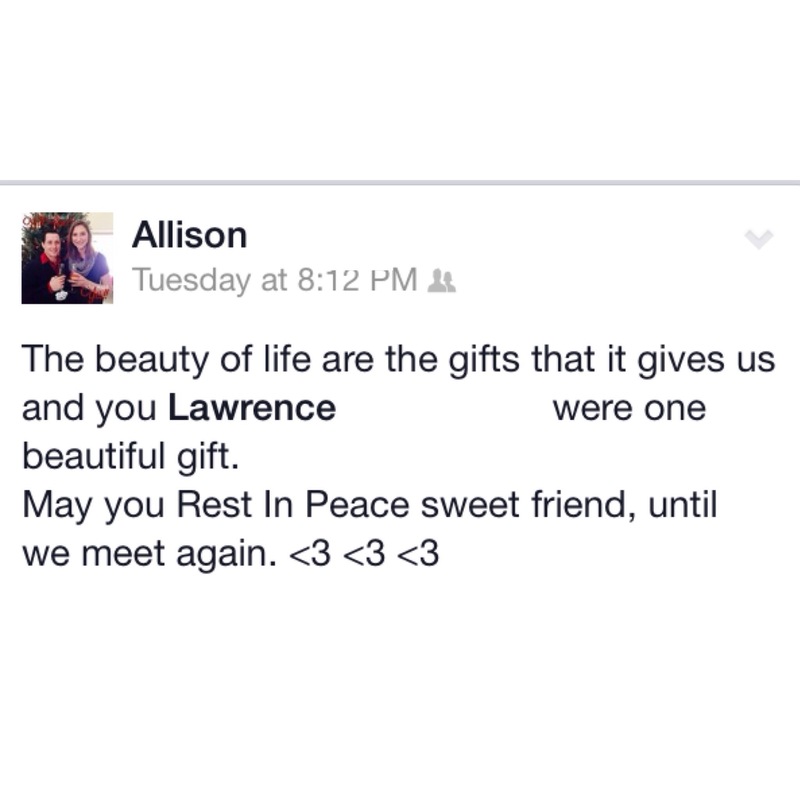 I could not think of a more Marvelous person than Lawrence. It was an emotional, wonderful, sad, celebration of the life of a wonderful friend and family member. We spent many hours visiting with family and many moments with tears in our eyes while we said goodbye to a wonderful spirit. Lawrence had a spice for life that everyone was touched by immediately. I am glad that he was not only a part of my life but made my Uncle’s life so much fuller. In all the sadness from losing Lawrence in the physical life it was wonderful to meet so many people who he impacted and to see how his gift of life was given to so many. There were multiple moments of the weekend that were incredibly special to me. As nice as it was to see family and friends who we have not seen in so long and spending some extra time catching up, my favorite moment of the weekend was when just a small group of us were sharing memories. On Sunday night we went to my uncle’s house and had dinner with most of the family and his close friends (who are family). 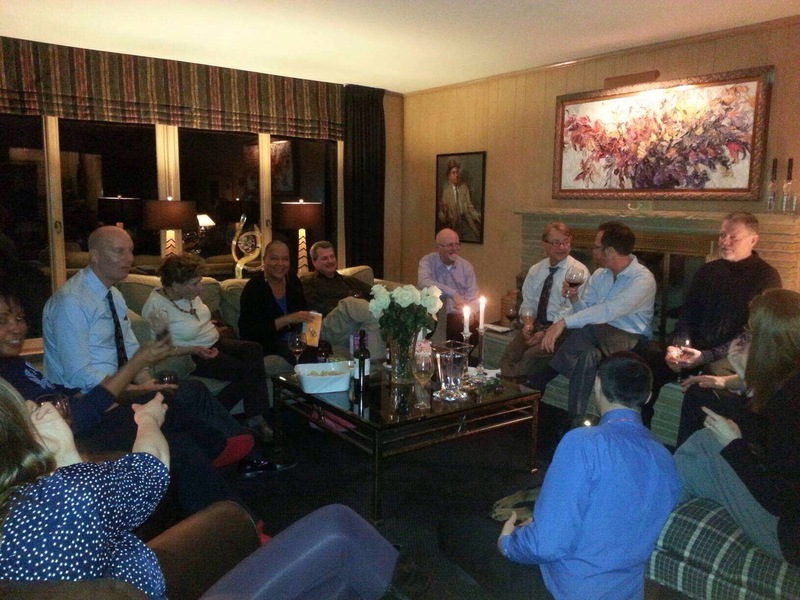 We all gathered in the living room and shared memories and good times we had with Lawrence. It was a very special time and after each memory was shared we all lifted our glasses and toasted to the man who brought us all together. The “ding” of the glasses made sounds of bells ringing and sounded like a song. 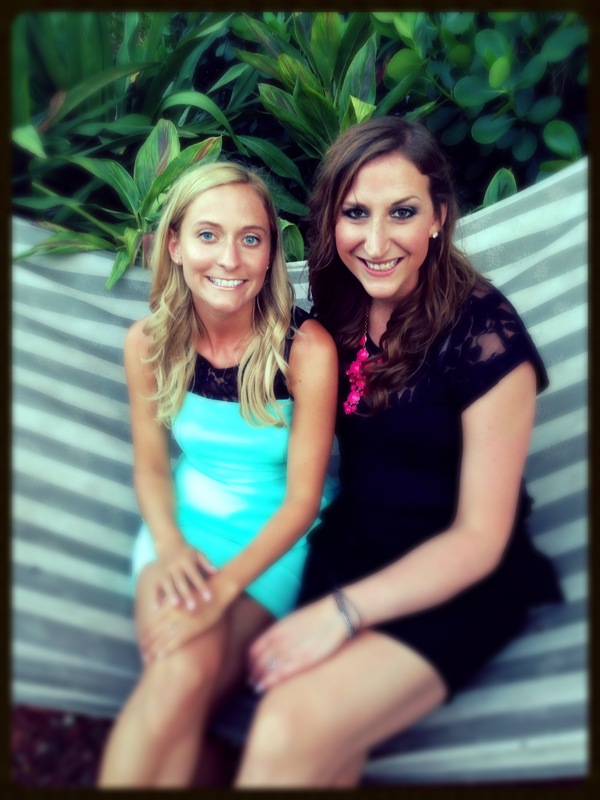 I could not have thought of a more peaceful, joyous way to remember a friend than that. As I mentioned before, I am participating in Move Nourish Believe which is a fun February challenge that Fit Approach & Lorna Jane Active are putting on. Last week was NOURISH week for MNB. I was a bit of an emotional eater last week after learning of Lawrence’s passing and my eats were based in health with an added side of emotion. I felt a bit overwhelmed and wish I could’ve been better about the challenge but I know that I did what was right for me and a challenge is just that, challenging. 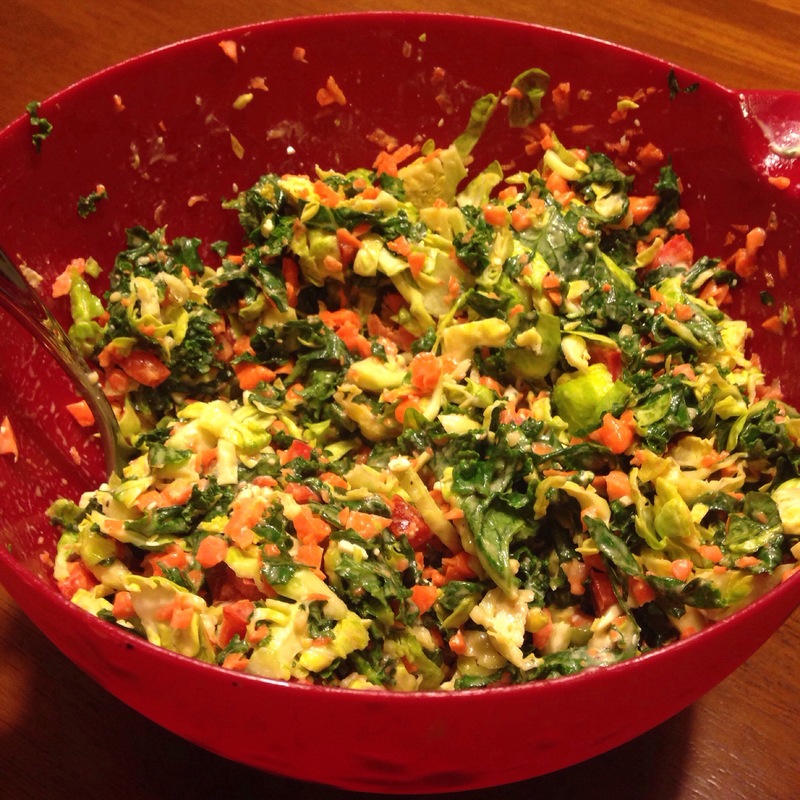 Monday was to go Meatless – I did this without much hesitation and spent most of the week thereafter meat-free. I enjoyed a hearty salad for lunch and made some rockstar black bean burgers for dinner. I FINALLY created a black bean burger recipe that did not fall apart when I cooked them. I still need some practice but a definite improvement from previous attempts! Tuesday was to take your lunch to work. I do this every day but ended up getting free lunch on Tuesday at a meeting… SCORE!! !… who can say no to Chipotle?? I enjoyed my tuesday lunch on wednesday which very closely resembled (read: was the exact same thing) as what I ate monday. Wednesday was to track your eats… UGHH!!! I have given up food logging as I started to obsess over what I was eating and my calorie count back in the spring, resulting in me plateauing in my diet and physical appearance. I did track my food “loosely” on wednesday and I know that I missed many “snacks” through out the day… Remember I said it was an emotional week, definitely not the best track i’ve ever done. Thursday was to make a smoothie… I forgot but made it Friday. OVERALL I still am LOVING the MNBChallenge & am sad that I was not able to fully embrace the second week of challenges. BUT life is more important than a challenge and I know my #sweatpink Sisters would tell me the same thing! To end today with something Beautiful. 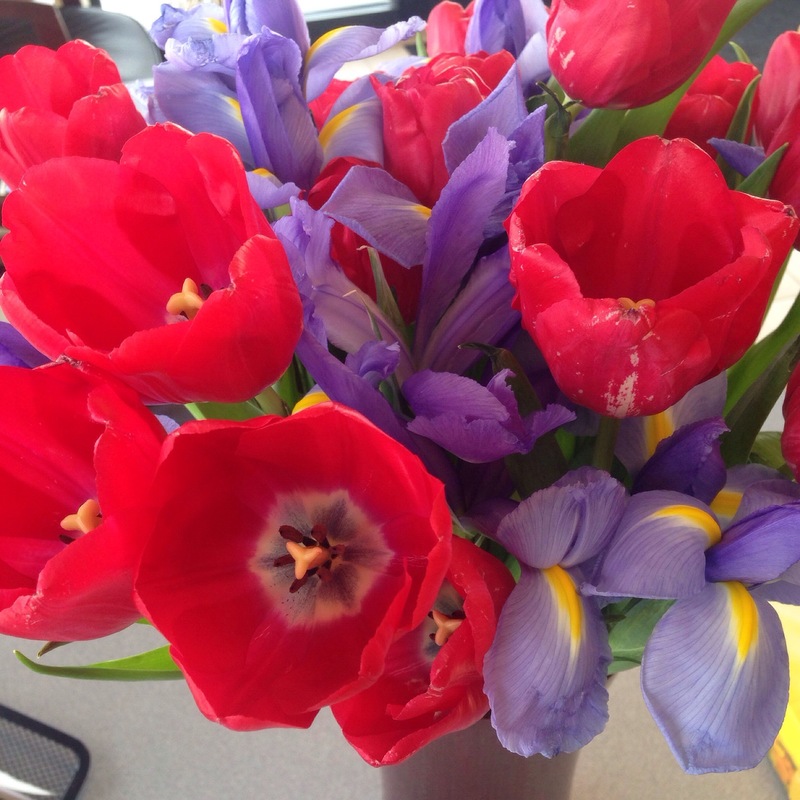 I wanted to share the flowers my Dad sent to my office for my Birthday. It was so nice to receive flowers (something I don’t often get) and watch them get more and more beautiful as the week went on! Hugs & Kisses Bouquet! How fitting! Have a happy and healthy start to your week friends! No Questions, Just sending love. Well I had all the intentions of writing a wonderful WIAW birthday edition post for today filled with a wonderful quiche recipe and photos of fantastic eats. BUT life has an interesting way of making you change your plans and I just did not have the energy on Tuesday night to write a fun and exciting post for you all. So instead I am sharing the exciting boring news that I created a Facebook page for my little space of internet. I had a bit of encouragement from Candice on friday & needed some distraction last night from my thoughts. 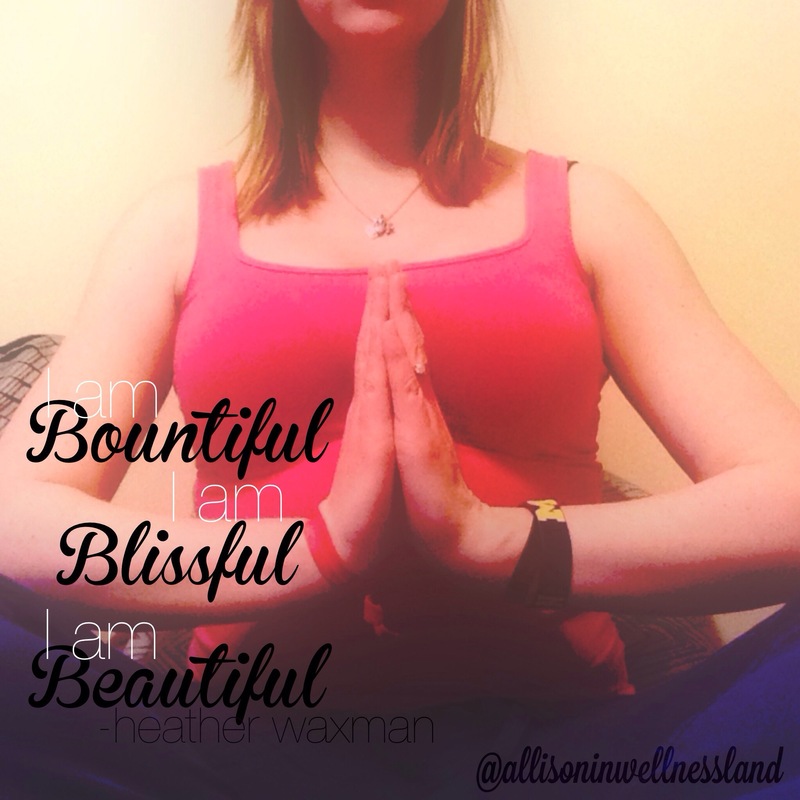 Please head over & like Allison In Wellnessland on Facebook! Have a safe and happy wednesday friends! Is anyone else 100% over winter? According to my FB feed its the mass majority of us all. I try not to whine about the weather because it doesn’t make it change, but our 3rd deep freeze of this winter very well might just kill me. This morning I got in the groove of things with a great GPP “soul crusher.” I had not done this particular workout before so I was determined to push myself a little harder and try for a strong effort. I was able to reach 20 rounds and Rx’d meaning I completed all the down-hill rounds without breaking the 60second bench-mark or needing extra rest. even if I really wanted to take it! I love reading the GPP comments section and seeing how amazing everyone else is doing too. It also helps me stay 100% accountable, if I performed a workout at 80% it definitely shows when I post my time/reps. GPP is NOT about comparison or competition but the little competition that is provided by holding yourself accountable is cool. Anyway… This weekend was wonderful! I took Friday off work and it was truly glorious to have an extra day to get things I usually put off over the weekend done. Like redesign my blog page, play catch up with some friends, probe for advice & just enjoy my day off work! Ahhhh makes me miss breaks from school. PLUS Saturday was my birthday so extra TCL was given, along with free-rain on buying myself some treats cause you can’t tell the birthday girl “No!” 🙂 I love birthdays but wish we lived closer to family to celebrate with the other people I love! Last week I made these BOMB pancakes. Now I am not a pancake expert, actually I am quite the opposite. Usually my pancakes turn out lopsided, burned, uncooked but burned outside, and just a mess. lets be serious these were a little of all that but they are chocolate so you can’t tell 😉 But this Pancake recipe is fool-proof, at least in the taste department. I used my Apple Cinnamon pancake recipe but tweaked it a little based on my lack of apples and craving for something chocolatey… these little guys were created and I’m not even sad about it! This made 8 big pancakes using a 1/4cup measuring cup as my scoop. I really need an ice cream scooper for things like this! I decided I liked these so much for breakfast and decided that the thick chocolatey goodness would make for a delicious brownie if baked. 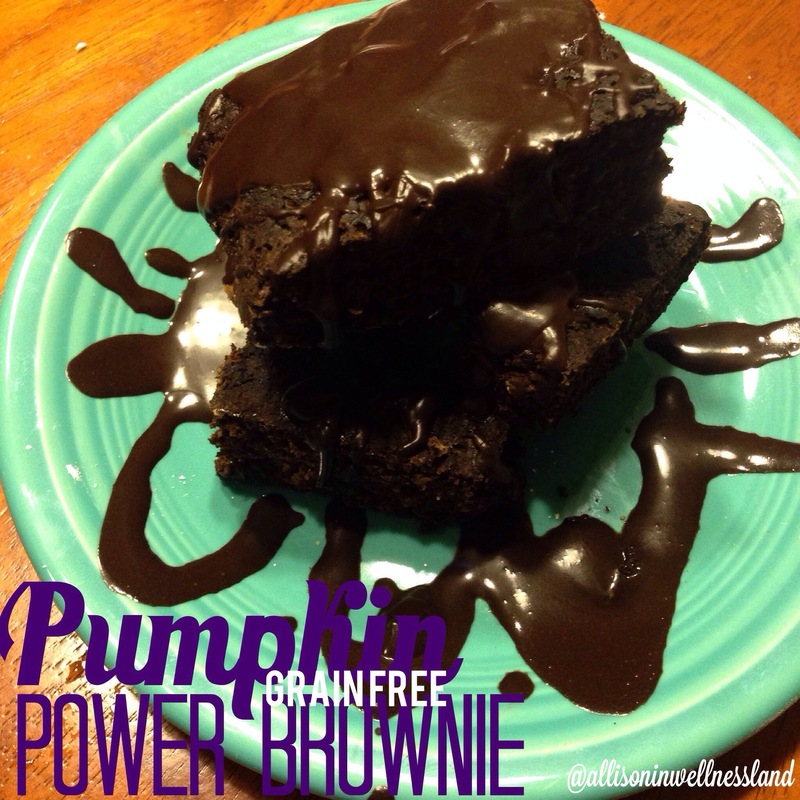 I added less milk until a thick brownie consistency was achieved and then baked them in the oven for approx. 25 minutes. I made these for my office and the patients & staff all enjoyed them! 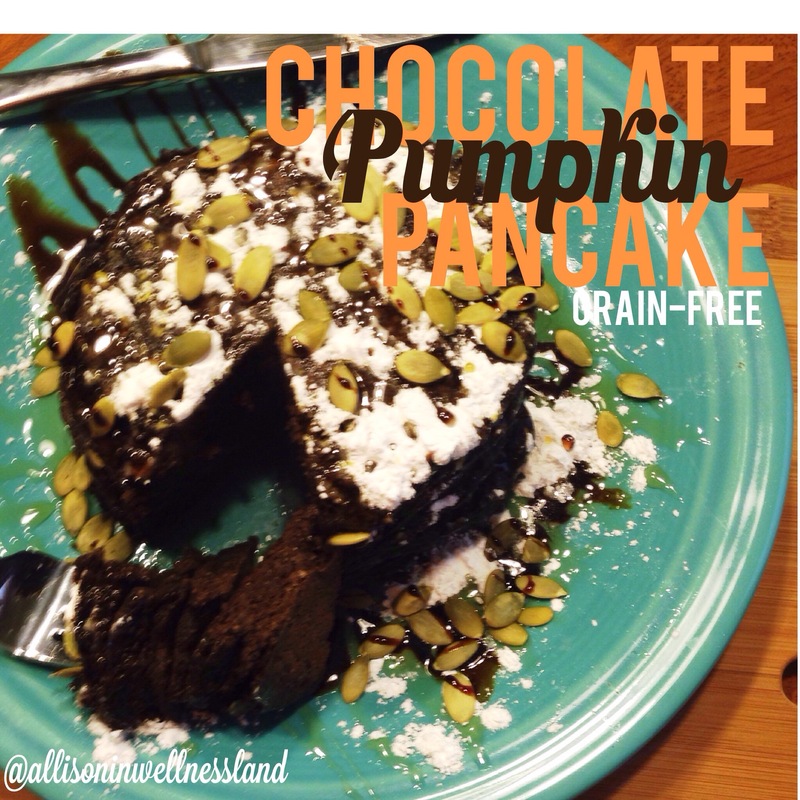 I would say they could’ve used a little more pumpkin to keep them a bit more moist and I would’ve made them with honey rather than stevia for friends, just because it would give them a bit richer flavor. 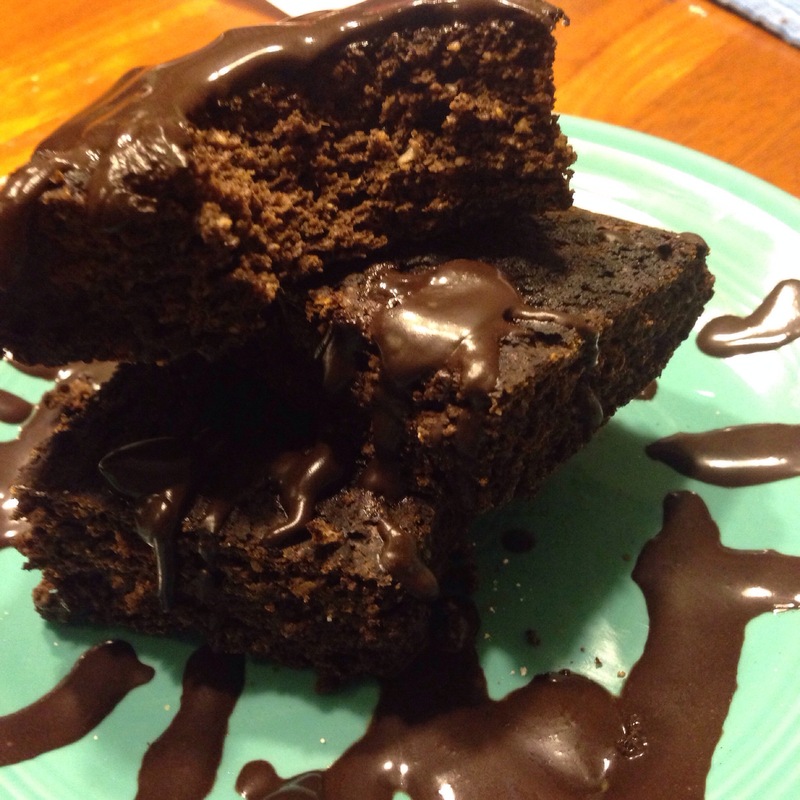 I topped my office brownies with some powdered sugar for pizzaz & my at home brownies with some Healthy Chocolate Sauce. Last week was a rockstar cooking week for me, so stay tuned for more recipes coming your way! Are you a pancake pro? Have any good pancake cooking tips?